Line 3. 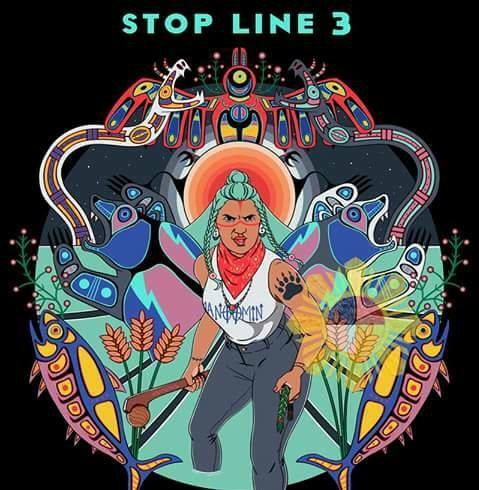 It’s no good for you, it’s no good for me, and most importantly it’s no good to the Native population that will be directly affected by the Public Utility Commissions decision to allow Enbridge to build it right across their land. Water and food are being destroyed, wildlife is being displaced and humans are being forced to fight a hard battle just to retain what is rightfully theirs to begin with. Please join us for a night of unity and music as we try to raise funds and awareness for this travesty and ongoing struggle. This is sure to be a great night. Come catch some killer music, make new friends and support a worthy cause! This show WILL START AT 8! MUST END BY 11!